Jon Snow is a name familiar to the many fans of George R. R. Martin’s Game of Thrones series of books, and the HBO television series based upon them. 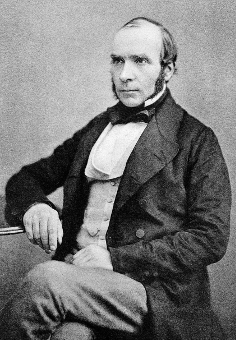 Perhaps a little less well-known currently is the fictional character’s 19th century namesake, an English physician whose research into a cholera outbreak in London indicated that the disease was waterborne rather than, as the then-dominant theory had it, spread via polluted air. Snow’s thesis was resisted and only became the accepted scientific explanation after his death at the relatively young age of 45. Today, however, he is remembered annually by the Pumphandle lectures organised by the society that bears his name, as well as being commemorated by a memorial that stands near the water pump in London’s Soho that Snow’s study identified as being the source of the 1854 cholera outbreak (hence the name of the annual lectures). So far, so irrelevant to the subject of bread. Amongst other things, however, Snow published a paper in The Lancet in 1857 titled On the adulteration of bread as a cause of rickets. Rickets is a weakening of the bones, the primary cause of which is now recognised to be a deficiency of vitamin D. The main source of vitamin D is sunlight. In Victorian London, plagued by smog and with many people living in tall houses separated only by narrow lanes and alleyways, sunlight was in short supply, and rickets affected a large proportion of the populace. As with cholera and other diseases, the causes of rickets were not then properly understood. Snow suggested that it was the addition of alum – potassium alum, a naturally-occurring mineral – to the shop-bought bread of the time that caused the condition. There were no strict controls on the use of additives in food, and the addition of cheap, nutritionally valueless ‘fillers’ like alum was so widespread that it seems to have been wearily accepted as a matter of fact by contemporary consumers, as Snow’s paper makes clear. Besides alum, unscrupulous bakers saved money and boosted their profits by bulking out their loaves with chalk, plaster of Paris and, in some particularly egregious cases, sawdust. Not only bread was affected: there was hardly any type of food or drink in Victorian Britain that was not adulterated in some way, to improve its appearance or as a cheap way to flavour inferior products. Snow admitted that his evidence was largely anecdotal, and we now know that adulterated bread wasn’t the root cause of rickets in the Victorian metropolis. Nonetheless, the practice of adding indigestible minerals to bulk out bread was rightly attacked by scientists and physicians of the time, notably Accum and Hassall (of whom I will say more in a future post), and Snow’s paper opens a fascinating window on the dietary habits and hazards of the time.